Trying to shop for the person who has everything? Don’t know what to get that special someone? Just too darn tired to care anymore? Well, Michigan Toy Soldier is here to help. 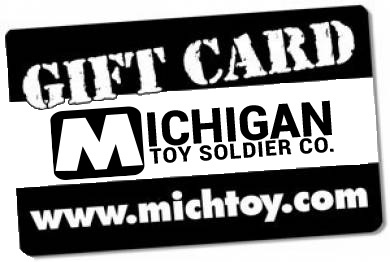 Our handy MichToy Gift Card comes in a number of easy-to-shop-for denominations and is just one click away from the perfect gift. 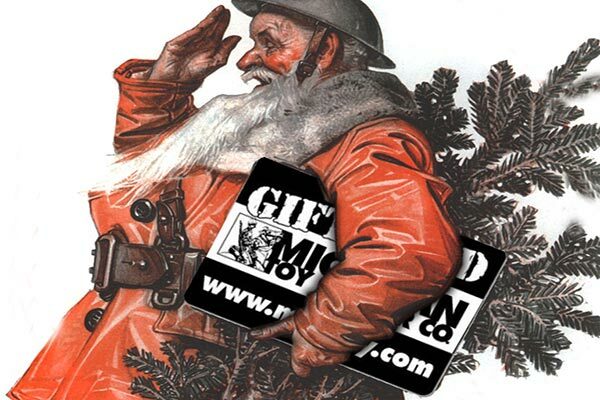 We can send you a card the old fashion snail mail way or send you one electronically. Want a different amount then listed on our website? Just all us up (1-888-642-4829) for the custom amount of your choosing..and when the card runs low of funds don't worry, you can add more anytime.